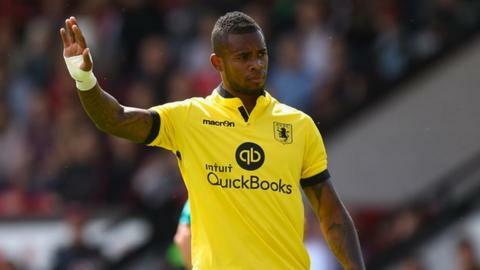 Leandro Bacuna has signed a new long-term contract with Aston Villa. The 23-year-old Dutchman, who can play in defence or midfield, has agreed a five-year deal until 2020 with the Premier League club. Bacuna joined Villa in June 2013 from FC Groningen and has scored six goals in 66 appearances. "I love it here and am really excited about my future," Bacuna told the club website. "I feel I can really develop here and show my worth." Bacuna becomes the latest Villa player to commit his future to the club after Ciaran Clark and Ashley Westwood also signed five-year contracts.